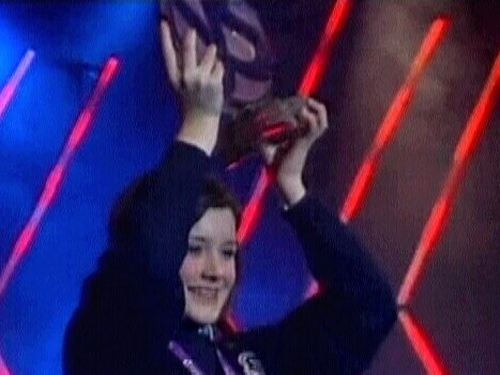 The BT Young Scientist of the Year 2008 is Emer Jones, a second year student from Presentation School, Tralee, Co Kerry. Her project, 'Research and Development of Emergency Sandbag Shelters', was announced by Minister for Education & Science Mary Hanafin and Chris Clark, Chief Executive Officer, BT Ireland, at the awards ceremony held this evening at the RDS. Ms Jones was presented with a cheque for €5,000, a Waterford Crystal trophy and the opportunity to represent Ireland at the 20th European Union Contest for Young Scientists taking place in Copenhagen in September. ‘Emer's project examined the use of native materials to enhance the stability of emergency sandbag shelters used in disaster relief,’ the judges said. ‘Based on the award-winning sandbag shelter developed by Nader Khalili of the Cal-Earth Institute, Emer examined what materials could help the shelters stand up to earthquakes and high winds,' the judges said. The judges were very impressed with the practical application of Emer's project. ‘Each year our judges continue to be astounded by the diverse and interesting topics from these second level students,' said Emer Kennedy, Chairperson of the judging panel. Edel Ryan and Fiona Ryan, from Holy Rosary College, Mountbellew, Co Galway, won the Best Group award for their project 'Living to Teach or Teaching to Live?' They received a prize of €2,400 and a BT Perpetual Trophy. The award for individual runner-up went to Henry Glass from Clongowes Wood College, Naas, Co Kildare, for his project 'The Detection and Locating of Food by the Slug, Limax pseudoflavus'. He was awarded €1,200 and a BT Perpetual Trophy. Ellie Townsend, Lisa O'Sullivan and Ciara McCarthy from Coláiste Choilm, Ballincollig, Co Cork, were the runner-up group. They were awarded €1,200 and a BT Perpetual trophy for their project 'Let Rip the Physics of Perforations'. The group also won the Intel Travel Award and the Institute of Physics Special Award. 1,128 students competed this week in 500 projects from 31 counties across Ireland. The show is open tomorrow from 9.30am to 5pm. 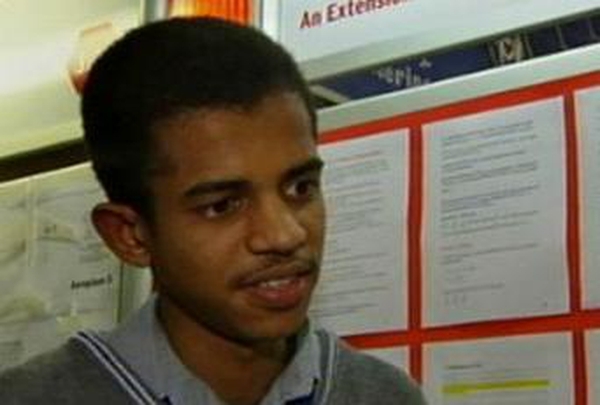 Visit the RTÉ's BT Young Scientist & Technology Exhibition website here.